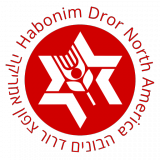 If you have any questions, comments, or feedback, email mazkir@habonimdror.org. To best reach any member of the Mazkirut Artzit (Habonim Dror Administration), call (718) 789-1796, Monday through Thursday from 10am to 6pm, and Friday from 10am to 4pm, or e-mail the individual(s) using the form below. *Please note that we do not answer the phone during staff meetings. If we do not pick up, please leave a detailed voice message and we will get back to you as quickly as possible. We really like to stay in touch. Use this form for questions, comments ... whatever.